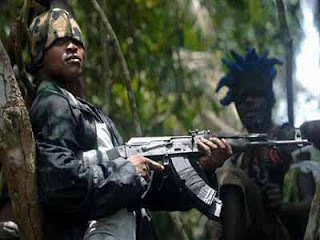 This is coming after a groom, his bride and their friends were kidnapped in Ondo state, five travellers have again been abducted in Oba-Akoko, Akoko South-West Local Government Area of the state. It was gathered that the victims were travelling from Lagos to Abuja in a Sport Utility Vehicle (SUV) but abducted by gunmen when they got to Ondo state. Three of the new kidnap victims were said to have been rescued by the Ondo State Police Command on Saturday,Daily Post reports. Also, the groom who were abducted penultimate Sunday at Akunnu town in Akoko North-East Local Government Area of the state has reportedly regained his freedom. Femi Joseph, Police Public Relations Officer in the state, said policemen were drafted to the scene of the abduction after being informed about the activities of the kidnappers and they were able to rescue the victims. “We were able to rescue Moses Yakubu and Mark Shaibu who were kidnapped while going for a wedding ceremony last week. We also rescued three female victims who were kidnapped last Friday on the way to Abuja. “Efforts are ongoing to rescue the remaining victims and we are closing in on the kidnappers. We are going to get them very soon,” Joseph said.